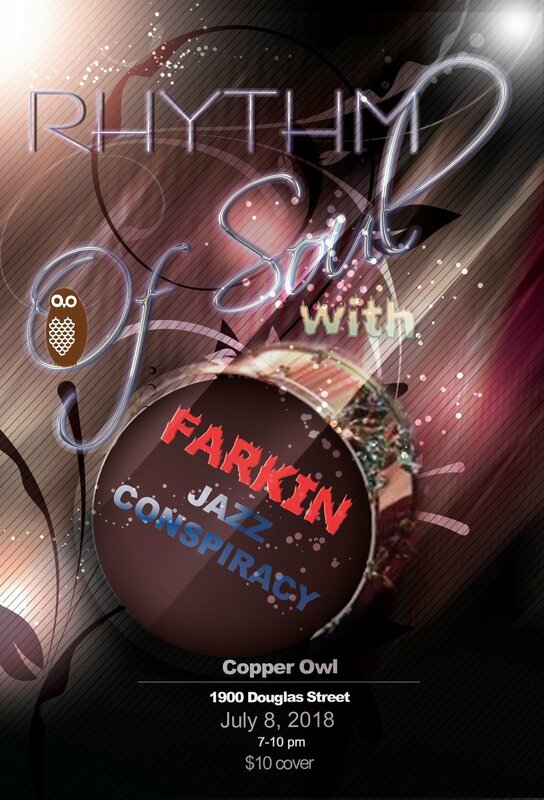 Rhythm of Soul is partnering up with Farkin Jazz Conspiracy to bring you an eclectic assortment of covers by artists such as Stevie Wonder, Amy Winehouse, Supertramp, Esperanza Spalding & more, plus some original contemporary jazz/Soul material. Formed from the rhythm section of Nick LaRiviere’s Soul Source R&B Band, Rhythm of Soul has been a group years in the making. Come out to the Copper Owl on July 8th, 2018 At 7:00 pm for an evening with Farkin Jazz Conspiracy & Rhythm of Soul!